Using The Window Cleaning Company, will not only mean that you get your windows cleaned by a local operative who has met the very high standards we set in terms of the quality of service, reliability and compliance with health and safety legislation, but by using our local operatives, who will already be carrying out work in your area, you will get a your service at the right price. As long-standing members of Checkatrade and also Trading Standards approved, we provide a first class quality and guaranteed service. Whether you are a restaurant, a large office, large or small retail premise or a public or private school with numerous buildings, we have the knowledge and experience to clean it. Image and appearance are important as often we are working within public areas relevant to your business. The Window Cleaning Company staff understand this and are always well presented, courteous and polite, providing the right professional image. At The Window Cleaning Company, we take Health and Safety very seriously, ensuring our customers, window cleaning operatives and the general public are not at risk. Due to the nature of the work window cleaning has some risks and we ensure all our operatives a fully conversant with Health and Safety Legislation and are aware of the risks of working at height. As such with every project, the site is risk assessed and appropriate safe methods are applied in accordance to H&S legislation. We ensure that all our operatives who work under The Work at Height Directive 2005 are competent in the method used to carry out work at height and have the necessary tools to complete the work safely. As a business it is imperative that we are adequately insured, and as such have Employer and Public Liability Insurance in place that is specific to the work type and method. 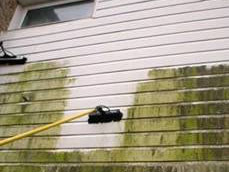 Therefore our Insurance is specific to window cleaning, gutter cleaning and pressure washing. If your business requires a specific level of cover this can be provided. Any window cleaning business that is serious about Health and Safety knows and understands about the importance of Risk and Method statements. Therefore before any contract is carried out a thorough risk assessment and a method statement will be carried out. For example these risks would include such items as trip hazard from hoses, wet floors, and injury from incorrect handling of water fed poles. We are not just a window cleaning company. We can also offer a range of other cleaning services.